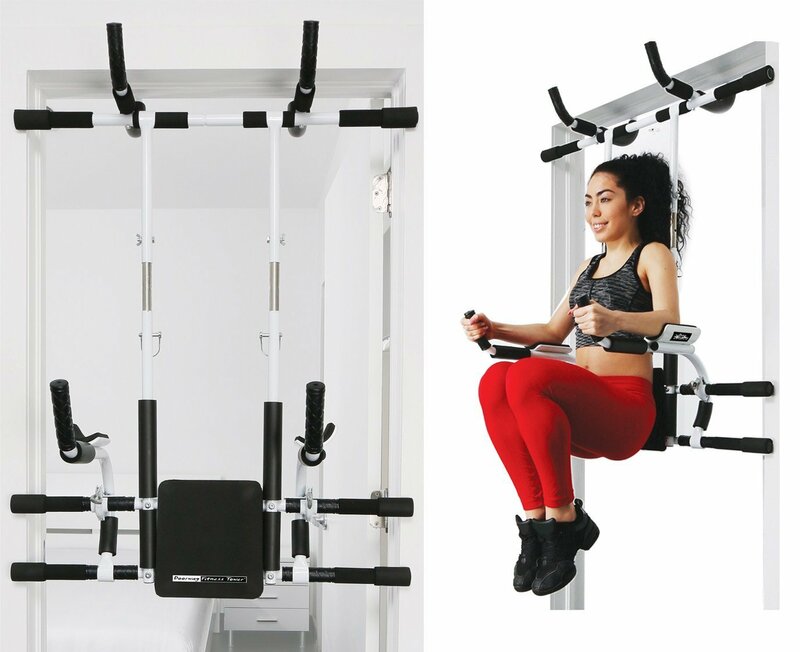 The new and innovative equipment expanding the quantity and type of bodyweight exercises to be performed in the Doorway Gym System. 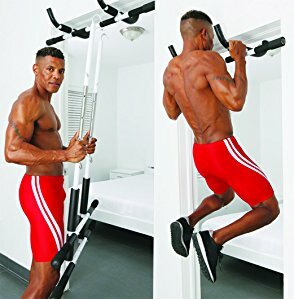 Doorway Fitness Tower - Workout Solution - Unmatched Functionality: The Unique Telescopic Parallel Bars and Multiple Handgrips give you exercise options. Not only can you do more types of exercises on the DFT, you can also perform several variations of the same exercise to keep things interesting. For example, a simple change of the hand grip on a pull-up can create a brand new challenge. The Back Support on the DFT Allows You to Protect Your Lower Back and control the balance of your body, preventing you from swinging back and forth to complete an exercise. This ensures your muscles are actually doing the work, so you'll see the results you're looking for. It makes the exercises, particularly abdominal exercises, safer and more effective. The Back support and the Arms/elbows support are removable in order to perform other bodyweight exercises and for better storage. The Doorway Fitness Tower is lightweight and small, even when it's set up in your doorway. When it comes time to take it down, it becomes smaller yet, and easily fits in a closet or under the bed until you're ready to use it again.